The hand held L150R Hand Held Vascular Doppler is an instrument that detects blood flow using the principles of the Doppler effect. ABI Doppler test is a painless test and very similar to taking blood pressure using a stethoscope. It is particularly useful for assessment of arterial disease but can also be used for venous problems. The LifeDop 150R features a non-display, hand held Doppler with superior sound quality, extended battery life, enhanced probe sensitivity, interchangeable probes and a one year full warranty. It includes a battery recharging system so you don’t have to worry about overcharging or draining of the batteries. Imported from Summit Doppler, USA. 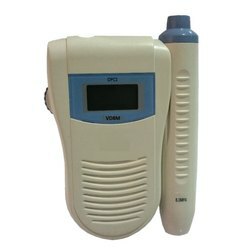 We are the Leading distributor & Exporter of Vascular Doppler For ABI in Chennai, Tamilnadu, India. 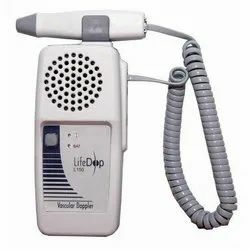 Hand Held Doppler model Lifedop L150R, 8MHz from Summit Doppler Systems, USA works with rechargeable battery widely used for the screening of arterial and venous insufficiency. 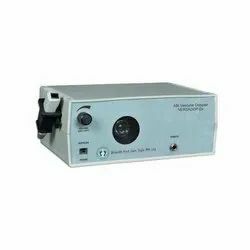 This vascular ultrasound is an easy tool to find the Ankle Brachial Index (ABI), however the Toe Pressure can not be measured using this hand Doppler for finding the Toe brachial Index (TBI). A low-cost pocket VD8M Hand Held Vascular Doppler Ultrasound. 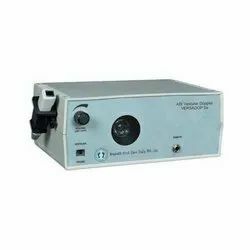 The non-directional Hand Doppler model VD8M offers all the standard features of a traditional Ultrasound Vascular Doppler and, intended primarily for vascular applications. The VD8M features a display to display pulse rate, 8MHz Doppler probe with superior sound quality. It includes a battery recharging system so you don’t have to worry about overcharging or draining of the batteries. Unit can also work with dry cell instead of the rechargeable batteries for emergency applications. The Versadop Dx Vascular Doppler Recorder for ABI is a measure of the severity of atherosclerosis in the legs but is also an independent indicator of the risk of subsequent atherothrombotic events elsewhere in the vascular system. The ABI may be used as a risk marker both in the general population free of clinical CVD and in patients with established CVD. Continuous wave Doppler ultrasound is considered a reliable tool and was validated and accepted into routine medical practice. The literature recognizes the importance of assessment in the management of a patient with chronic lower limb ulceration. The evidence from the medical literature indicates that a "normal" ABI is 0.91 or greater, a ratio below this indicating arterial disease. We are engaged in manufacturing, trading, exporting, and supplying wide spectrum of Vascular Doppler Products including Table Tap Doppler. It is extensively used to study arterial and brachial index. 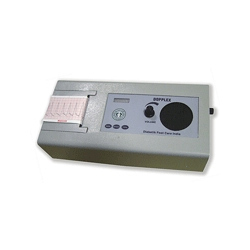 It is also used for screening arteries, veins, and detecting cerebro-vascular disorders. It features loud adjustable audio output and is made by using the finest grades of components. It is offered at very reasonable rates. 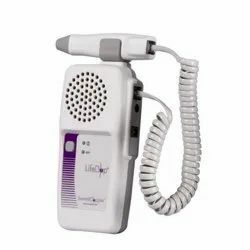 Our sound reputation of manufacturing, trading, exporting and supplying huge array of Vascular Doppler Products has enabled us to offer Arterial Doppler to our clients. It is extensively used for studying arterial and brachial index. It screens arteries, veins, and can also detect cerebro-vascular disorders. It features loud adjustable audio output. It is made by using the finest grades of components and is offered at reasonable rates. Looking for Vascular Doppler Products ?